Business is a blast when you get it right. When you know the keys to what works for you. Rather than squeezing into something that isn’t a fit. Business as usual is when you follow the advice of people who discovered something that worked for them and you try to apply it to your business… but it’s not the right fit for you. Business as usual is getting sucked into the fear of missing out. So you watch what the crowd is doing and follow their moves. Only to lose yourself. Business as usual is trying to “make money while you sleep”. Before you’ve even made money while you’re awake. Sales expert, Carolyn Herfurth is going to reveal how to do business…UNUSUAL, so you can finally earn the rewards and fulfillment of your gifts and expertise. Instead of wondering what is wrong with you. 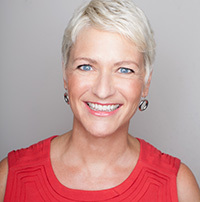 Carolyn Herfurth, founder of The Biztruth and creator of Art of the Ask Academy, is a serial entrepreneur, author, speaker, trainer and business mentor. She has advised thousands of people to make thoughtful decisions about business ownership and helped launch nearly 100 businesses. Fed up with the plethora of super talented entrepreneurs who struggle with sales, Carolyn has made it her mission to equip service-based entrepreneurs with the confidence and skills to double their closing rates and multiply earnings. Prior to starting The Biztruth, Carolyn established the Minneapolis office of The Entrepreneur’s Source, North America’s leading business ownership consulting organization. In addition to advising clients, Carolyn is author of “Buying a Franchise: Tips, Tools & Tales for Doing It Right” and cofounder the Minnesota Franchise Spectacular, an annual trade show attracting thousands of individuals interested in owning a franchise. Prior to pursuing her lifelong dream of owning a business, Carolyn enjoyed a successful 13-year sales career with Oracle, Rand Worldwide and several other leading companies. Carolyn speaks extensively on sales and business ownership to a variety of entrepreneur groups, including New York Expo, Savor the Success, Small Business Expo, S.H.E. Summit, Enlightened Entrepreneurs, National Association of Women Business Owners, SCORE, Small Business Development Center, Bloomington Chamber of Commerce and more. Whew! In addition to receiving a bevy of sales awards, she has been recognized by Upsize magazine for Best Practices in Customer Relations, received numerous awards from The Entrepreneur’s Source & been honored by the National Association of Women Business Owners. Carolyn loves performing standup & improv comedy...anything that brings levity to an all-too serious world. She has “competed” in a duathlon and a half-marathon & looks forward to her next physical & mental challenge... TBD! She has proudly served on boards for the Bloomington Chamber of Commerce, Ordway Circle of Stars, and PaceMaker 5000, a 5k walk/run that raises funds for Children’s Hospitals.